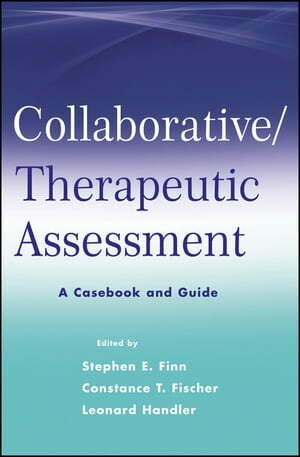 Collins Booksellers - Collaborative / Therapeutic Assessment by Stephen E. Finn, Constance T. Fischer & Leonard Handler, 9781118168646. Buy this book online. Mental health professionals are increasingly enthusiastic about and ready to use psychological test data, research, and theory in life-relevant ways to improve diagnosis, client care, and treatment outcomes. With Collaborative/Therapeutic Assessment (C/TA), clients participate actively with the assessor in exploring how their test scores and patterns reflect who they are in their daily lives and how they can learn to help themselves cope with life's challenges. Using a case study approach to demonstrate how to apply C/TA in practice, Collaborative/Therapeutic Assessment provides practitioners with a variety of flexible and adaptable case examples featuring adults, children, adolescents, couples, and families from different backgrounds in need of treatment for assorted concerns.